The most used content management system in the world. Delegates will be taught how to set-up, design and manage high-end, functional websites on the WordPress platform. The Digital Maerketing segment will provide all the tools required to manage markerting & advertising campaigns in a digital era. Learn how to effectively manage and use to market and grow your business as well as providing excellent customer services. The final part of the course will provide sound knowledge on the fundamentals of optimising WordPress websites for search engines to ensure that the designed websites are visible online and making sales through SEO. This fully practical course is designed for individuals, small businesses and start-ups that wish to attain online visibility or simply develop a business information portal. It will introduce and critically evaluate factors that aid the design, development and marketing of standards compliant websites. Participants will be exposed to Business Analysis techniques that help identify the core business objectives and align them to the website deliverables. Delegates will learn the techniques required to convert briefs and business requirements into storyboards, then visual designs. Participants will gain knowledge of the best practices in content creation, user interface and user experience design for efficient website design. According to research, 93% of online experiences and Internet usage begin with a keyword search; making search engines a focal point for an online lead generation. It is estimated that SEO leads have a 14.6% close rate compared to outbound leads (such a direct mail or print advertising), which have a 1.7% close rate. The course will provide knowledge on how to design versatile, search engine friendly websites that help businesses remain relevant in the digital age. At the end of this course, each participant will leave with a fully functional website, developed during the Practical workshop sessions of the training. 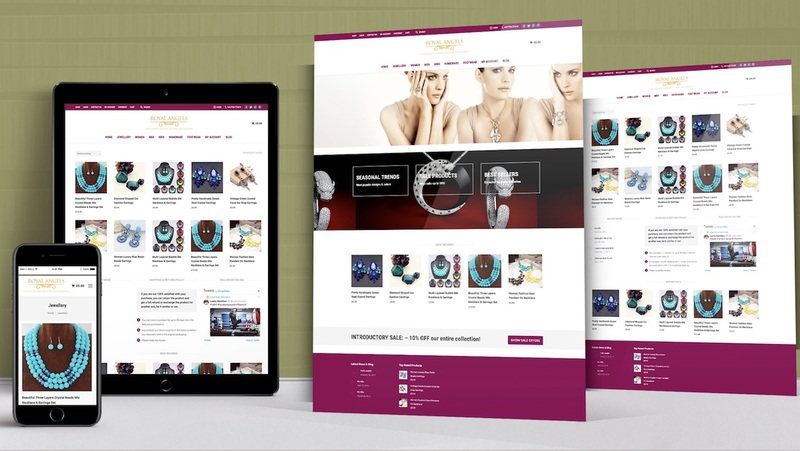 Understand the importance of aligning business goals to the website design in order to facilitate more customer conversion. Learn how to create dynamic and engaging content: including texts, pictures and images for websites and digital marketing. Understand the basics of User Interface & User Experience Design. Understand the importance of Search Engine Optimisation for websites. Understand the basic procedures required to optimise websites for search engines. Acquire the skills required to develop multiple websites & explore a career in web design. Good websites can cost anywhere from $700 USD upwards. For a fraction of that cost, delegates will acquire skills to develop fully functional, world-class websites. Delegates will also acquire life-long skills that can be monetized by commercially designing websites for SMEs. In short, participants will recoup their entire investment and more before the conclusion of the course. Christian is the Founder & CEO of RHICS, an international Digital Agency headquartered in London, UK. In this role, he has consulted on numerous IT projects for international clientele; managing stakeholders and workforce spread across several countries. Most recently, he has led the design of campaigns for brands including Virgin Atlantic, British Airways, Chartered Insurance Institute of London, Antigua High Commission London, Caribbean Confederation of Credit Unions, Cooling Tech, Sterling Business Network amongst many others. Known as the “IT Guru” he is passionate about exploring modern technology; social and new media platforms. He has developed a proven understanding of customer and stakeholder requirements through the delivery of innovative solutions that fulfil the core objectives of businesses. A firm believer in knowledge & skills transfer, Christian travels around the world educating business leaders on cost-effective IT strategies for achieving excellent customer services, brand awareness, maximum productivity and profitability.